After the animation, filter and sharing features, Instagram has released a new tool on the june 12th: A purchase button for products and services in announcements made on Stories. A popular feature that show pictures and videos for 24 hours, Stories now allow for companies to advertise their products with price and redirecting links for the user in order to close sell on e-commerce. Instagram has tested the feature on the United States, but now it is available for brazilian stores to announce products or services with a few clicks and fast configuration. For the consumers, the benefit is the possibility of having more information and easier access. 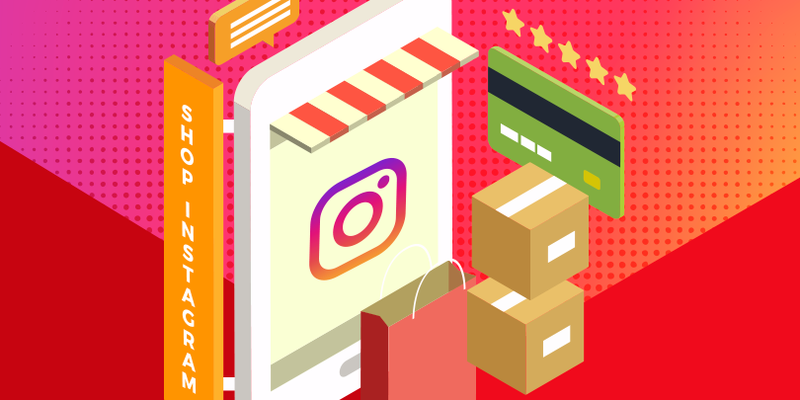 “Our instagram traffic revenue has increased 44% since the implementation of Shopping on Instagram. It is a simple and easy way to exhibit your products in a context of lifestyle, without impacting the user experience”. At first, the feature was made available only for a few brands, but the tendency is that it is released for every business account soon. In order to use the product tagging on instagram, you’ll need an instagram account associated with a business profile on Facebook. Each publication allows the tagging of up to five products per image or 20 products in carousel mode. Create at least nine purchase publications in your business profile on instagram in order to activate the “Purchase” option for the public. Use Stories to show your public that it is now possible to purchase on the publications. Make sure that the brands are linked to the correct products, this way the consumer will know which product the tag refers to. How do I tag products in my posts on Instagram? If you don't see Shopping under Business Settings, your account is probably still under review or it hasn't been approved for shopping on Instagram. Usually, the review process takes a few days, but sometimes we may need to review the account in more detail, which can take longer. If you delete a product from the shop on Facebook or the product catalog that's associated with your business profile, the associated tag will be removed from any posts the product is tagged in. You'll also lose insights for the associated tag that's been deleted. Product information in the tags and product details page will display the currency and language of your catalog to a global audience. We recommend using Insights on your Business Profile to understand your audience, and use the catalog containing the most relevant currency and language for your audience.